This exhibit was born from a collaboration with Healing to Action, a grassroots organization whose mission is to build a worker-led movement to end gender-based violence. In the fall of 2018, Healing to Action convened 17 Latinx community leaders from across Chicago to build a collective political analysis of the root causes of gender-based violence, share stories of survival and resilience, and create community-based solutions to address gender-based violence in their communities. 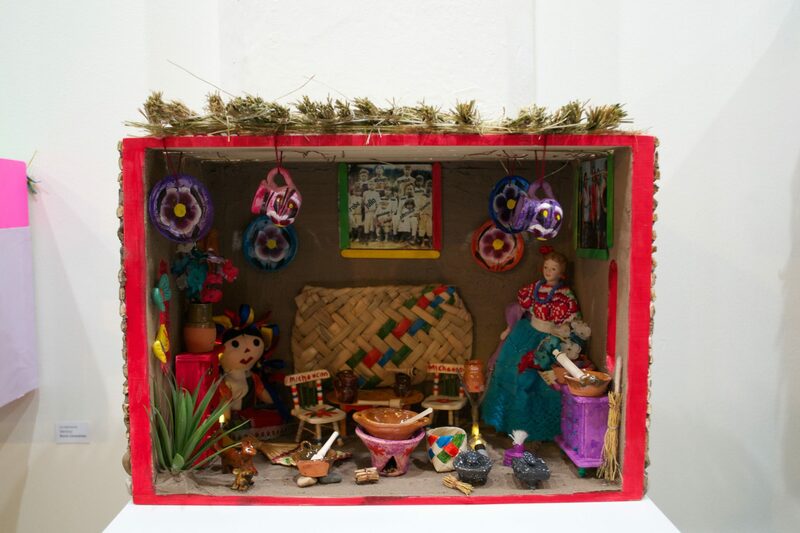 This group exhibit features eight of these local community leaders who explore ofrendas as the artistic expression of hope, home, and their personal truths that are often silenced across generations, cultures, and gender lines. Collectively, the ofrendas offer a glimpse into the leaders’ initiatives to launch a grassroots campaign this Spring that addresses the root causes of gender-based violence in their communities. Local Pilsen artist and educator Antonio Ancona facilitated the creation of these pieces in a workshop that took place in the Awakenings gallery. The exhibit will feature five additional artists: Fela M’tima Dunfee, Chloe Allred, Sola, Anneasha Hogan, and Alex Brightbill. Through portrait series in painting, line drawing, and collage, these artists fuel the dialogue of calling out the systematic oppression of cultures and gender through sexual violence and centering their own healing and that of others. of others.